The Inasmuch ministry began offering food packing events to churches and other groups as an extension of our ministry five years ago. We did not seek this opportunity, but it is now clear that God brought it to us. 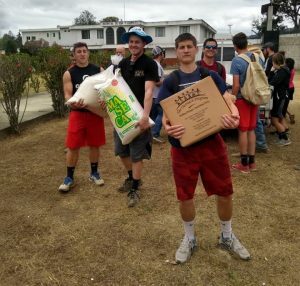 Altogether Inasmuch has staged packing events in four states totaling about 750,000 meals… and most of these meals have gone to Guatemala. Crocker says: “Almost half of the shipment going out this month was done in a large packing event on May 5. In that event about 200 volunteers from 13 Knoxville churches and 2 schools worked side-by-side for 5 hours in packing 59,000 meals. It was a huge collaborative effort that will do a great deal of good for people who need it!” View pictures from this event here. 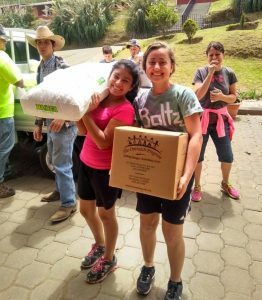 If your church or group would like to host a food pack to feed the hungry in Guatemala or your own local community, please contact us at 865-951-2511 or office@operationinasmuch.org.